In this session, we will examine the opportunities for decision making while building a data analysis pipeline and follow the consequences of those decisions for the interpretability of the results. In addition, we will dive into examples of various types of bias, as well as examples of assumptions made in data collection, in implementation and in statistical modeling. Throughout the session we will be discussing what to consider when choosing your quality control measures to maximize the trust that you can put in your data. In order to keep this session interactive, we will design a mini analysis pipeline using open data from Miami-Dade County. The title of this session is intended tongue-in-cheek since many of the key decisions that go into building a data analysis pipeline are context-dependent. Meetup Info: This Meetup is a friendly environment where all questions are appreciated and where members learn from each other. All experience levels are welcomed. Join us! Bring a laptop to maximize participation. 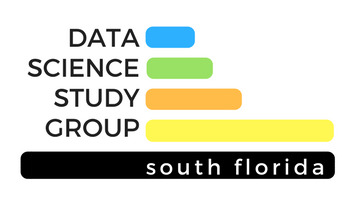 Special thanks to StartHub Miami (http://www.starthubcenters.com/) for being the location sponsor! Vehicles entering the designated parking lot after 5 PM, pay only $3 for the rest of the evening. The lot is located immediately east of 66 West Flagler, where we’ll meet.